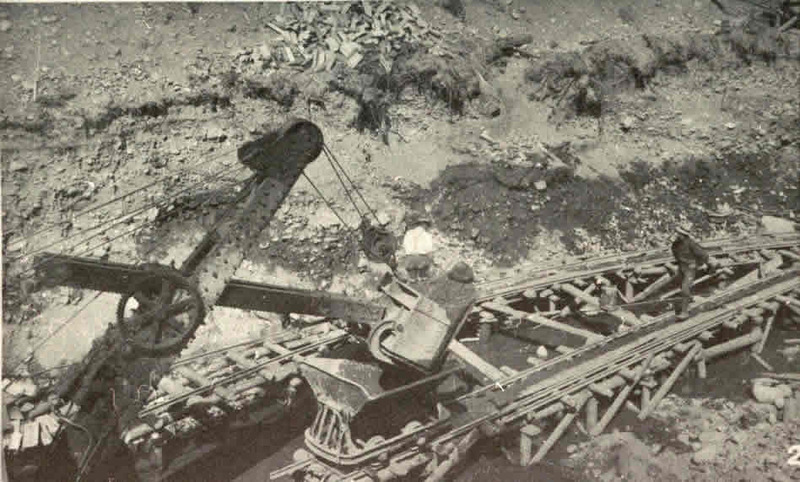 During the 1930s the newest piece of equipment to be used in the Omenica goldfields was the steamshovel. 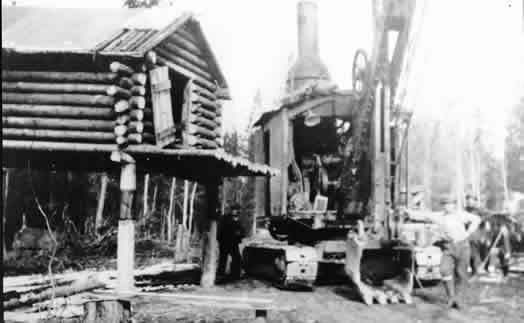 The first one to get here was a Marion Steamshovel. 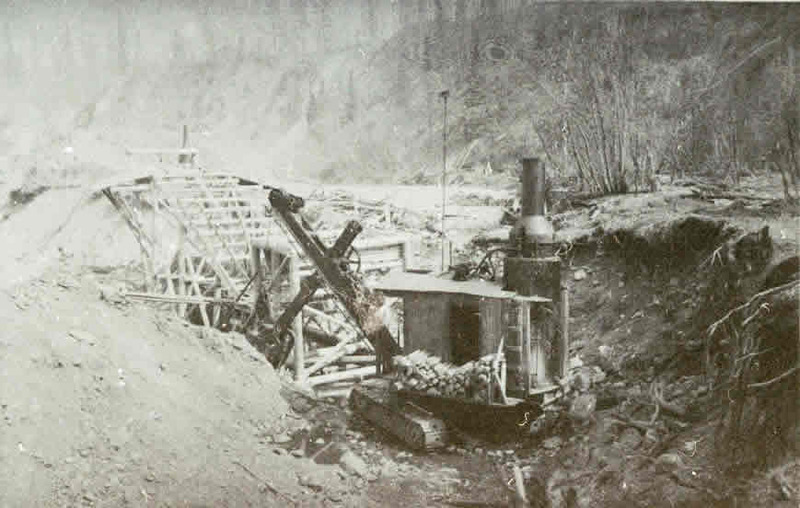 It took three years to travel from Fort Saint James to Manson Creek. 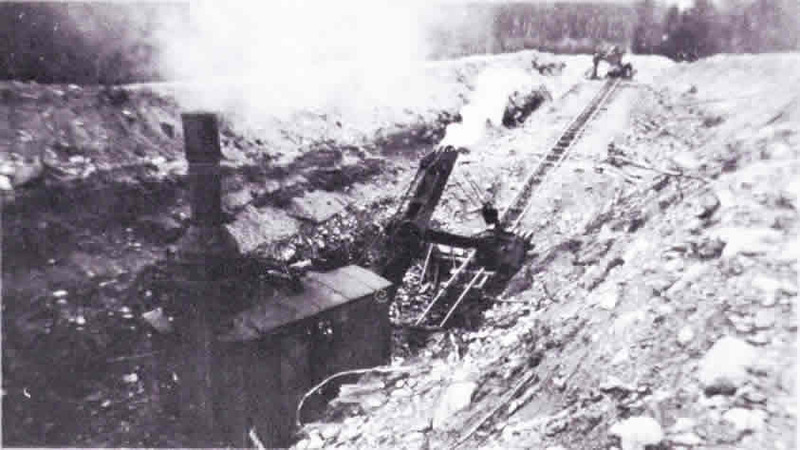 The first use of the steamshovels was to improve the Baldy trail from Fort St. James enough so that trucks could make it through. 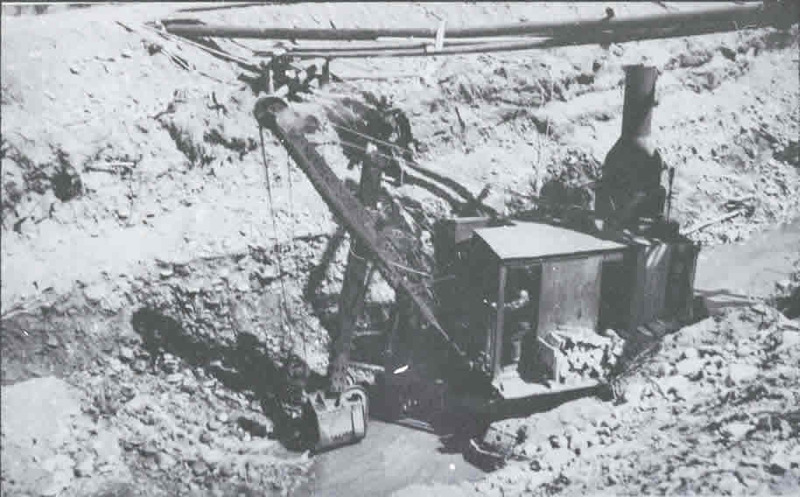 Then they were used to dig the ditches required by the new large hydraulic mines. The steamshovels could move earth much faster than had been moved by hand earlier. Steamshovels were used to dig deeper faster as in the upper left. 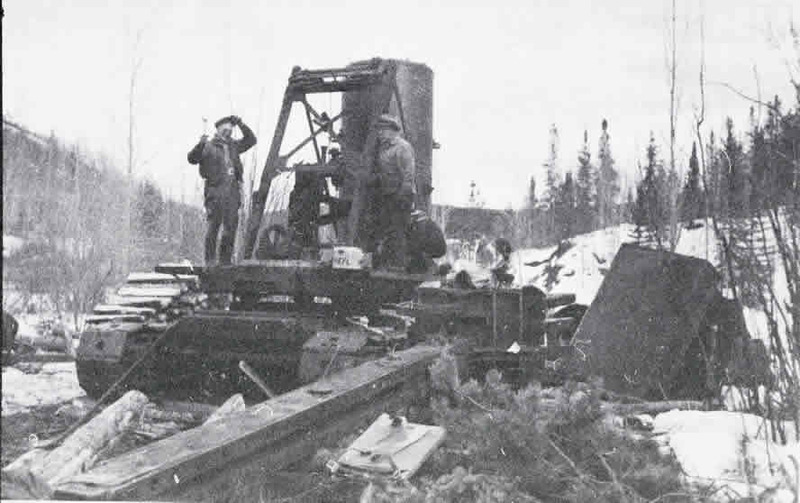 Then as now they would break down and need to be quikly repaired in the field. 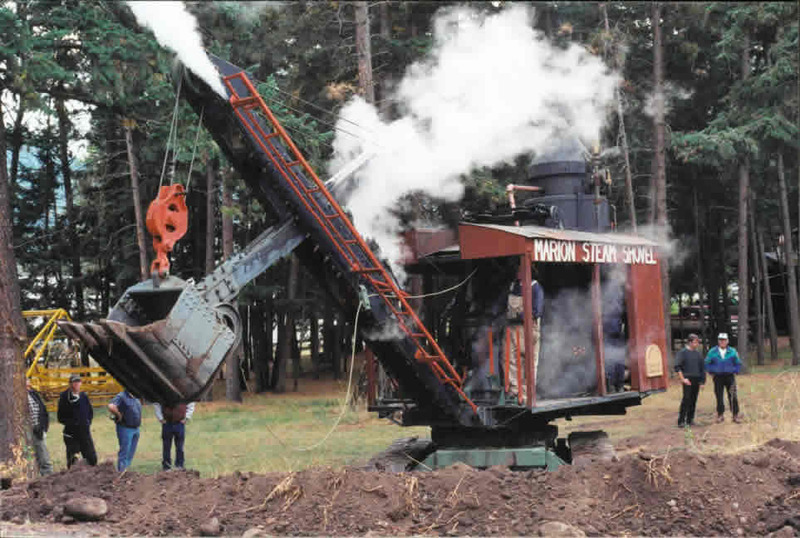 One of the Marion Steam Shovels has been restored by Val and Sandra Pringle.